Iran’s Foreign Minister Mohammad Javad Zarif says under the current tumultuous conditions in the Middle East, dialogue and respect for international law are among the most important factors that pave the way for making the region strong. “What we need is a stronger region rather than strongmen. For this we need dialogue,” and “respect for international law,” Zarif said in a tweet posted on his official Twitter page on Sunday. 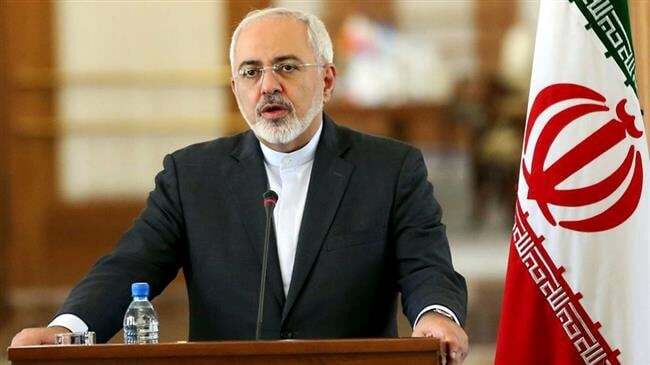 The top Iranian diplomat also mentioned “inclusion, security networking, economic cooperation, and more people-to-people contact,” as other factors, which can help regional states achieve the goal of having a stronger region. The Iranian foreign minister also took to task the “strongmen,” who have risen to power in Middle Eastern countries, for the destructive role they have played in the region, noting, “Our region has had far too many strongmen who have only caused war & misery.” He, however, made no direct reference to any specific regional politician. In another part of his tweet, Zarif brought up some key points included in Iranian President Hassan Rouhani’s statement before the regional parliament speakers’ conference in Tehran on the requisites for the realization of a stronger region. Addressing the Tehran conference on Saturday, President Rouhani said that deepening of multilateral and bilateral bonds and the pursuit of multilateralism in diplomatic and economic relations were key factors for achieving this goal. The adoption of security networking with the participation of all neighboring countries and displaying mutual respect for national sovereignty were other factors mentioned by Iran’s chief executive, who also called for strengthening comprehensive defense capabilities and reduction of militarism at the regional level. In an address to the closing ceremony of the conference, Iran’s Parliament Speaker Ali Larijani said the United States sought to engage Asian countries in wars and acts of terror with the purpose of exhausting their resources and hindering their progress. He added that the US had created terrorist groups in Asia, because the region enjoyed great economic and energy potential, noting that for this reason, Asian countries have been engaged in wars over the past three decades and now most of terrorist groups are in Asia. Iran on Saturday hosted the second Speakers’ Conference in the capital Tehran, which focused on the challenge of terrorism and inter-regional connectivity. The event was attended by parliament speakers from Afghanistan, China, Iran, Pakistan, Russia and Turkey.